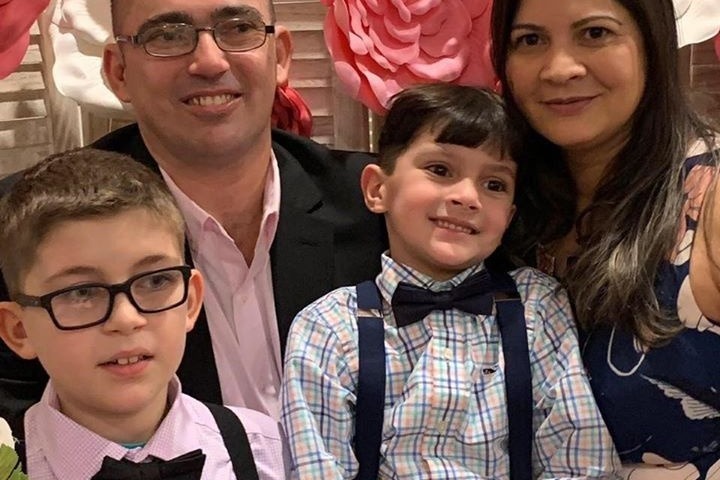 A loving husband, father passed away April 2, 2019, in a single tragic car accident on Route 3 in Duxbury. Marcos leaves behind his wife Regailany and two children ages 6 and 12 years old. This unexpected horrific event has changed their lives forever. This account has been set up to help with funeral and other financial expenses. Any donations will help and be greatly appreciated. Thank you for your generosity. Please help share. É com extremo pesar que família Santos cumpre o doloroso dever de comunicar o falecimento de Marcos Medeiros Dos Santos e convida familiares, amigos e colegas para o serviço fúnebre NESTE SÁBADO, dia 6 DE ABRIL, de 7 as 9PM, na igreja ADVENTISTA DE NEW ENGLAND, 62 DEXTER STREET, MEDFORD MA. A família agradece aos que fizeram presentes a este ato de solidariedade cristã. 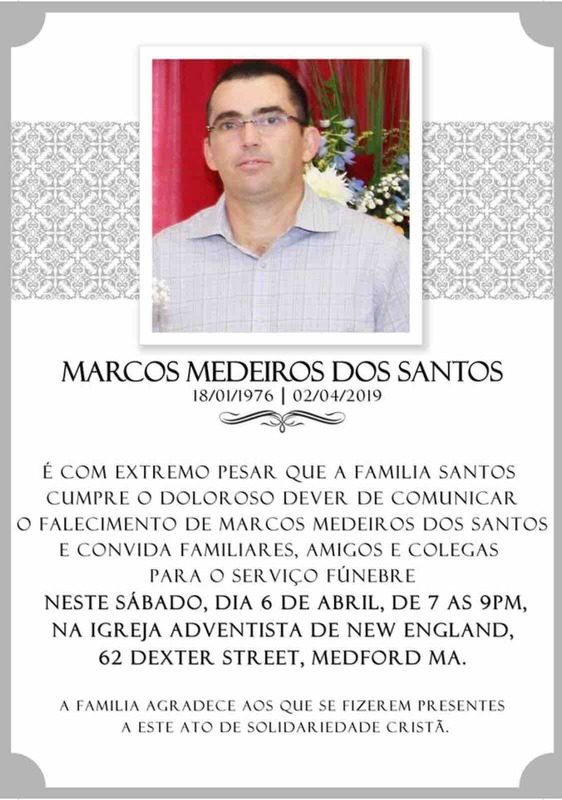 It is with great regret that the Santos family fulfills the painful duty of communicating the death of Marcos Medeiros Dos Santos and invites family, friends and colleagues to the funeral service ON THIS SATURDAY, on April 6, from 7 to 9 p.m., in the church ADVENTISTA DE NEW ENGLAND , 62 DEXTER STREET, MEDFORD MA. The family is grateful to those who attended this act of Christian solidarity.